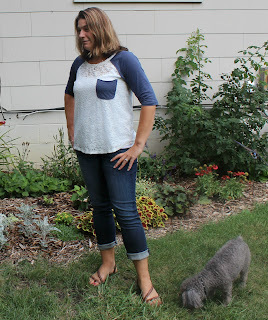 Life and Style by Lisa B: Latest outfit! We are finally getting a reprieve from the hot weather. A couple of days ago I was able to wear cropped jeans and a quarter length top without sweltering! 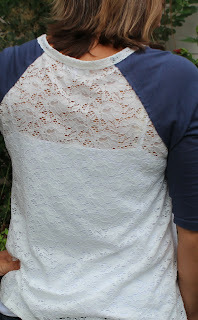 I love this top because of the lace detail and the nod to a baseball jersey! It also has a nice hemline that gives more added detail. I have also found that hemlines with a scoop (like the one on this top) create a more slimming look. The crops what can I say, I love Hudson's! You always have the best details in your clothes! 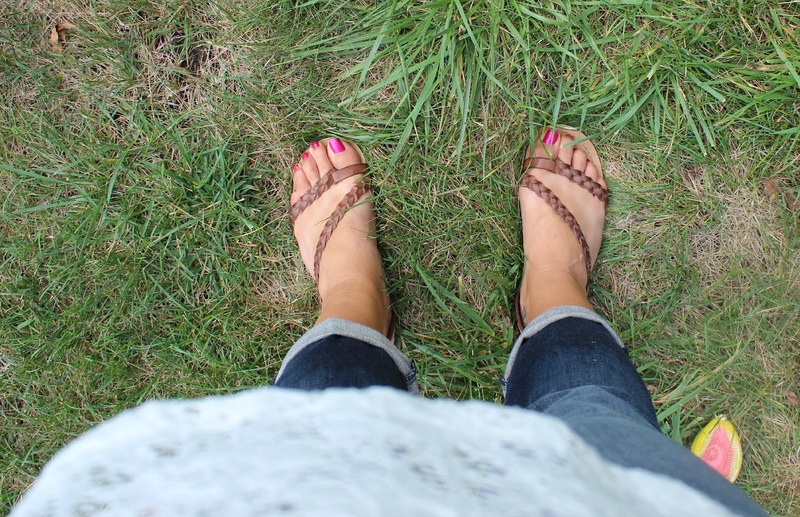 That's a great casual top - and amen to finally getting back to normal temperature! Thanks Heather! Looks like your in the Mpls area too!